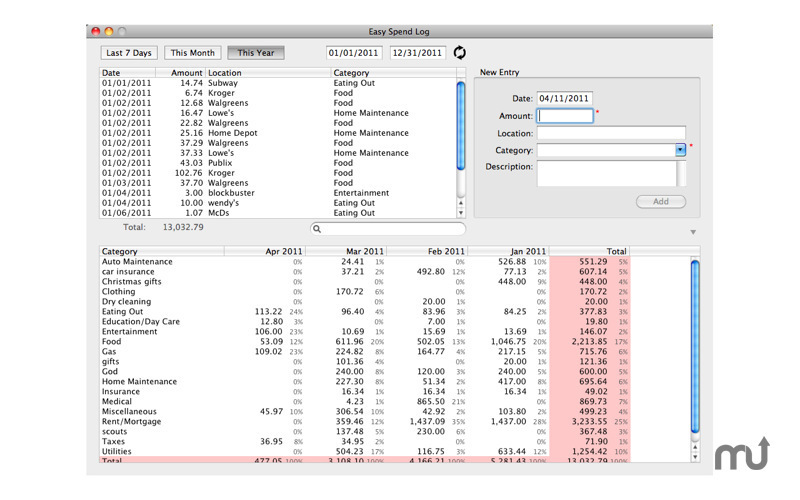 Track and analyze your spending. Is there a better alternative to Easy Spend Log? Is Easy Spend Log really the best app in Personal Finance category? Will Easy Spend Log work good on macOS 10.13.4? 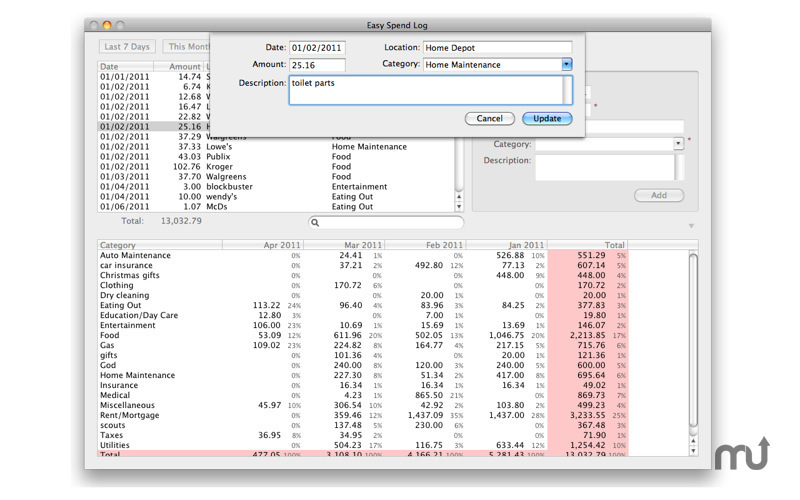 Easy Spend Log helps you track and analyze your spending. Quickly and easily enter in your daily receipts from cash, check, and debit/credit card spending. At the end of the month enter all items sent out by your bank and find out where your money really went. Use Easy Spend Log to watch how your money is spent so you can more accurately make your next budget. Easy Spend Log needs a rating. Be the first to rate this app and get the discussion started! 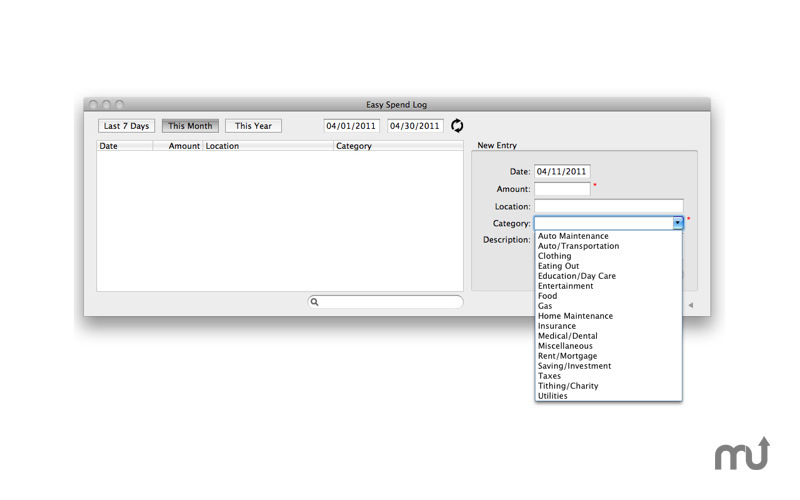 Common household spending categories are built in, potential duplicate entries detected as you type, easily search by amount, category, location, or details. All entries are saved automatically. An instant summary by category is shown for the past 12 months with percent of spending for the month and past year. Quickly see the details by double-clicking an entry in the summary. Import and export .CSV files.